Tire/wheel swap. Pleasant people; easy process; new favorite Tea suggested by Barista. Car washed and wheels swapped in very reasonable amount of time. Cost was noticeably less than Acura Dealer, which preformed same service last week on my other sports car. I’am not requesting a price increase! Always a great experience . Wonderful , friendly service department . The staff always expedites scheduling urgent and routine service visits with ease. Knowledgeful team that is always eager and ready to help customers ! Excellent facility. Great salespeople. Peter was mine. Very caring, professional and knowledgeable. I had a great experience buying a car at this dealer. I would highly recommend this dealer and salesperson. All the employees where very helpful! helping us get our security gate and garage doors programmed! They are very helpful and took extra time to get it done! Thank you! Love this dealership. Always happy with their process and the experience. Service department is excellent, facility is awesome. Sales team is nonpressure and very helpful. They were very courteous and not pushy. we also got a very fair deal on the car we purchased. Will definitely go back the next time we’re looking for a car. This purchase was one of the easiest I’ve had so far. They were not aggressive as most dealers normally are. Throughout the experience Paul was patient and answered every question I has. At no time did I feel pressured to buy. Nice and welcoming atmosphere. Great waiting area with friendly staff and coffee barista. Nice selection of cats to admire while you wait for your car wash.
Good service, timeline was not as good. Was told it would take about 3-4 hours. Ended up being 5hrs. I was not informed it was ready until I called after 5hrs! Basic maintenance and an alignment, and I commented to my wife, “boy they sure take good care of me at The Exchange”. I was in and out with a brand new loaner and a cup of espresso! Only a few hours later and I was called to let me know it was ready. Smiles and hellos all around. What a pleasure. I have purchased multiple Porsche’s from this dealership! Michael Semersky is pleasure to work with as well as Mario in service! Keep up the great work! Thanks to Chris for a great experience with my new Macan purchase. Love the car I ended up with, and appreciated the great range of vehicles at the dealer. Great service, feel welcome and awesome floor. Nice place to hang out while your car is i service. Nicest Dealer in the Midwest. Thank you. 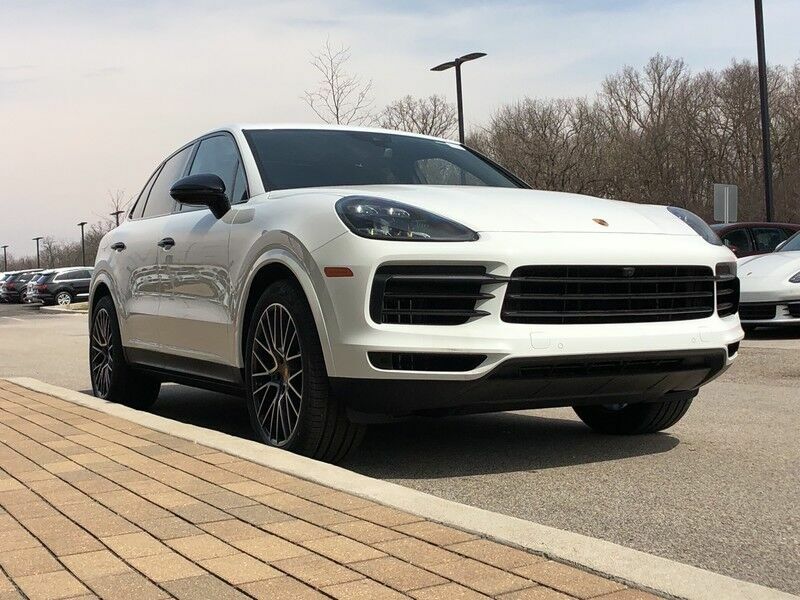 From a knowledgeable, unhurried sales experience with Chris (who helped me order the perfect car), to the excellent service provided by Mario and his department, to the welcoming "hello"s and helpful assistance throughout the dealership, the Porsche Exchange has been wonderful. They answer my questions, take great care of my car, give tours of the latest models and displays on the show floor, and are all around great people. I have not always enjoyed my encounters with dealerships before, but the Porsche Exchange is different. I recommend them for both sales and service support! Fantastic service and exceptional attention to details. Kudos to the entire service team and especially Michael Olson for resolving issues quickly and efficiently!! Porsche Exchange is my dealer of choice for service. Every time my Porsche needs attention , Mario the service adviser from service department , takes care of my cars. I highly recommend Porsche Exchange to all of my friends , knowing that they will be happy with the service , and their cars will be in best hands. The Exchange and especially Faris Nijim are the best auto consultants around. They anticipate your needs, have the billing ready and waiting (Hats off to Mike!) and don’t pressure you. They know the options available inside and out and keep your interests in mind. Great crew here. Service and Bruce’s free coffee are best in class. Another successful transaction with the Porsche Exchange. I've purchased a half dozen vehicles from this dealer over the past twenty years, I wouldn't shop anywhere else. No pressure super knowledgeable sales staff. The service department is exceptional, everything as promised. Edit 2/2/2019: Really just can't say enough good things about the Porsche Exchange - hats off to Michael Olson and everybody in service for going so far above and beyond to help with a lingering PCM issue in my car. I am truly blown away by their unbelievable customer service. If I wasn't up Porsche man for life prior, I certainly am now! Absolutely blown away by the level of service and commitment to customer satisfaction at the Porsche Exchange. Everybody there has been an extremely thorough, friendly and I can’t say it enough just how great this Porsche experience has been. Tire warranty replacement. In and out within the hour. No hassle with claim paperwork. This is how it should be done. Kudos, Porsche Exchange! 10-11-18 two year maintenance. Treated like a king. Macan S loaner. Same half day service. Spotless hand wash. These guys get it right. The overall experience was excellent, but when I dropped off my car it took a little longer then expected. Over all I’d say it was a 4.5 star. I bought a Cayman S from Michael this week. What an excellent experience! I am so grateful for his assistance and that of everyone else at the dealership. If you are in the market for a Porsche, don't go anywhere else. First class service. I just want to say I had the best Experience with Nick Kopp. He was very knowledgable, professional, and most importantly not rude. I went to many Porsche dealers and most were good but Nick and The Porsche Exchange were exceptional. I was really upside down on my Mercedes but he got me the best lease deal on a new Cayman and got me out the door fast. Even got the extended maintenance from Mike Bartuch, which once you calculate all the numbers was a no brainer. Highly recommend Nick and the Exchange. Save your self the headache and most importantly time wasted! p.s. Make sure you stay away from Napleton Porsche and Jessica. Review on that experience coming soon. I can't say enough good things about the Porsche Exchange. I was having the absolute worst experience trying to buy a car from another Chicago area Porsche dealer that will go unnamed (*cough* Loebers Moters *cough*). Sorry, I had something in my throat. The fine people at Porsche Exchanged saved me and turned an awful car buying experience into a wonderful car buying experience. If you're in the market for a new Porsche definitely go to the Porsche Exchange . . . and ask for Nick Kopp. The guy is great - one of the best salesmen I have ever interacted with. He conducts himself with integrity, is transparent about the purchasing process and goes the extra mile to make sure that you get what you want and that you're taken car of.Overall, I believe that the Porsche Exchange cares about their customers and is not trying to nickle & dime anybody (they gave me a great deal on my car and threw in all-weather mats, including the trunk mat, and a lighting cable without me even asking for such items). Excellent dealership and service. The buying experience was stress free, no pressure, informative and not hurried. And the service is always courteous, timely and efficient. And, based on a recent experience where my Porsche Cayenne Turbo had a mechanical failure, this dealership went to bat for me with Porsche and got the problem fixed. Bottom line. If you are going to buy a Porsche and keep it serviced, this is THE dealership to go to. Jon Biasetti. I'm a longtime looker but a new new-car customer of The Porsche Exchange. I have never seen such an extreme high level of customer service in my life. Everyone of their employees seems to care about providing first class customer service. The parts department here has been absolutely amazing in helping address and resolve fuel supply issues with my 2009 Cayenne S. Very friendly. Extremely knowledgeable. And willing to go the extra mile in answering any and all questions. Great pricing. Highly recommended them to all my Porsche enthusiast colleagues! In particular Vlad, Larry and Joe have been wonderful. I just bought a GT3RS in Ultraviolet from Michael at Porsche Exchange. It has been a true pleasure to work with him. He made the transaction very smooth. I live in San Diego and just had the car dropped off at my warehouse. Michael was VERY patient with me. The process went faster than I expected. He sent all the paperwork even before the car came. He added a car cover as gift which was very nice and I cannot thank him enough. I will definitely be buying my next Porsche from him! I have purchased three cars from the Porsche Exchange in the last three years and found each experience to be positive. I'll even say that they went above and beyond to help me after a very negative experience at the Milwaukee dealership; something they did not have to do. I have enjoyed working with Michael and recommend him and the dealership. Porsched Exchange Service rocks!My 1st visit there was 8 months ago was great...Service Associate (Josh) could not have been more accommodating. 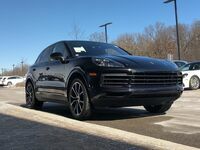 Dropped off car in the AM, and in 10 minutes drove off in the Porsche Cayenne free loaner. Later that day got a call from Josh that my Macan was ready. All work (maintenance) done perfectly, and everything was covered by the warranty so my bill was $0.00.Yesterday I was there again for an oil change and a PCM update. As I arrived I was amazed by the quality of there just built Sales and Service Facility...wow! The Large Service Bay are was Spotless. I was met by Service Associate (Tony) with a smile. He put me in the computer and then typed in my 5 point list of Service Requests. Printed out the work order and asked me to make sure it covered everything I need (it did.) Then he said he'd call me when it was ready...I started debating (out loud with myself) about my schedule and traffic downtown and whether I would be back this evening or tomorrow.... At that point another Service.Associate (David) said "Hey Sir I go your way every night...I would be happy to bring it to you and take the loaner (was a 2017 Macan with 750 miles on the clock) if it helps." -- WOW!Later that evening (4:00 PM or so) I get a call from Tony saying the PCM Update is giving us trouble but the Tech (no pun intended) said he'll keep on it until it's complete. David is still planning to bring your Macan back to you this evening.Couple of hours later David showed up, handed me my car key and a $0.00 (all covered under warranty) invoice, and picked up my loaner. THANKS David!My experiences at PE Service could not have been better--give them a try.